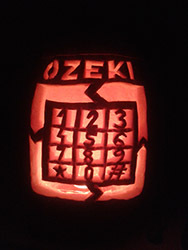 According to a still living belief, there is an isolating line between the living and the dead, and it is the thinnest on the last day of October. At this time, the departed souls set off and roam until they find their previous residence. This night they try to return to the world. Even Celts had already protected themselves against the event that threatened their safety: they put out fire in their homes to have a cold and unfriendly fireplace in order not to attract the visitor ghosts. To the perfect fallacy they dressed up as ghosts and went to parade on the streets because they wanted to confuse the Demon and lay it easier. Help them getting back to their own world with the aid of modern technology. Let them find their residence with the new-generation telecommunicational devices (with VoIP phone calls, SMS messages, with Webphone, mobile phone call, etc.). 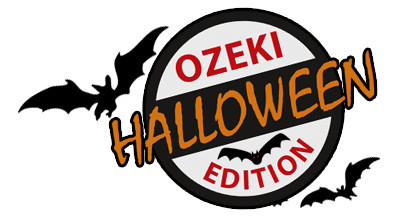 They only need one software, the Ozeki Phone System XE to this, that offers these all-in-one. 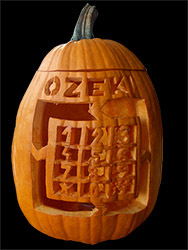 With the Ozeki PBX they can get in touch with their relatives, even in 3D.